I need to take a “time out” here to describe how I met Herr Dr. Max Baumann. Max has been so helpful to me – to get this story to where it is today. 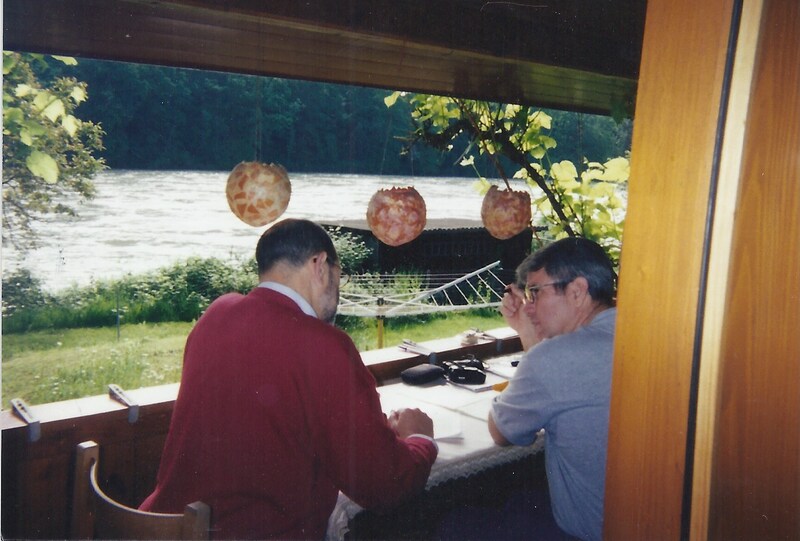 When Bud Bauman and I got to Switzerland in May 1999, we got caught up with Max at his house in Silli, Switzerland. Max’s house sits on the banks of the Aare River. This is Max and me, beginning our friendship. That’s the Aare River, just out the back of his house. When Max retired from being a university professor (teaching Swiss history), he began doing village research (for commission) for Swiss communities. It just so happened I met him just after he completed a book on Rein and Rufenach. (Rein is such a small community it is now included with Rufenach.) Rein is where Johannes is from. So he took me out to the porch here, opened his computer and the lecture began! How cool was that? And what do you think the chances of meeting (probably) the one guy who had the answers for a lot of the questions I had? Hi, I was in Rein-Rufenach back in 2002 when my son was studying at Karlsruhe. one of their sons Kaspar is my direct ancestor. He married Anna Maria Wuest and had Samuel Obrist. Samuel went against the grain of the Obrists by not working in engineering. I loved the little church in Rein and the view all around it. We also visited Riniken and went to the eating place there run by several generations of the family. I adored the whole area and was able to show 3 of my children their roots and a granddaughter as well. I would love to buy your book if you could supply name, publisher etc. I sent another son to Brugg to find the old records of which we have four pages which supply the details we require, however, we cannot find anything more and perhaps may find missing pieces in the book. My husband and I intend to travel back to Germany and Switzerland and europe again. 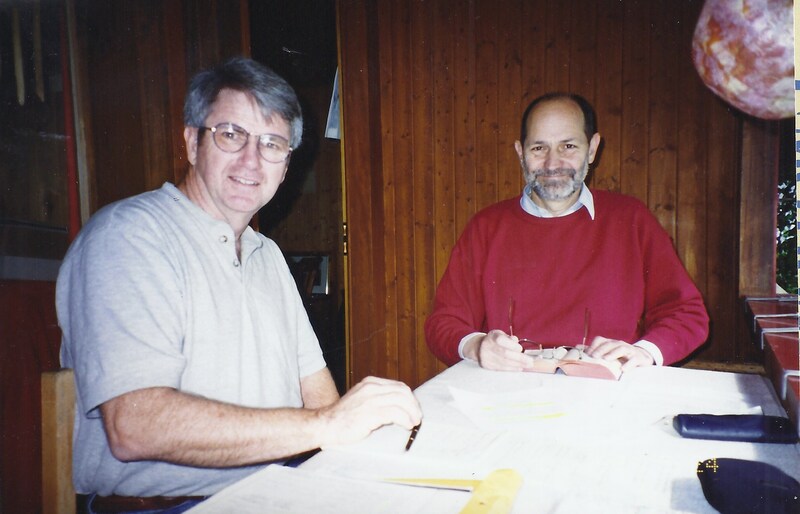 I have met Felix Obrist from Dattwil who turned up here at my hotel in Gisborne, New Zealand, back in 1999 for the millenium, that was amazing and exciting. Any chance you could pass along Max Baumann’s email address to me? I saw an old posting on Ancestry.com and he was asking about information regarding Samuel Baumann/Bowman. I would appreciate the opportunity to communicate with him if possible.